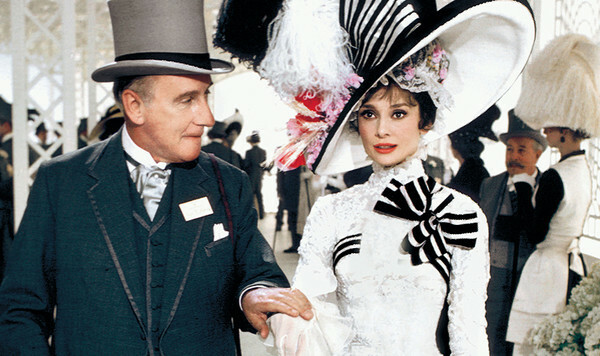 Musical-drama My Fair Lady stars Audrey Hepburn and Rex Harrison. Harrison plays an arrogant professor who takes a bet that he can turn working-class girl Eliza (Hepburn) into a lady that resembles someone of high society. He succeeds, inadvertently causing a young aristocrat to fall in love with her, causing the professor to realize his true feelings. The film won eight Oscars.